Injustice 2 will contain the new as well as old returning heroes and villains. As stated by the Warner Brothers, it will include all the characters from the DC comics and all will fight against each other. 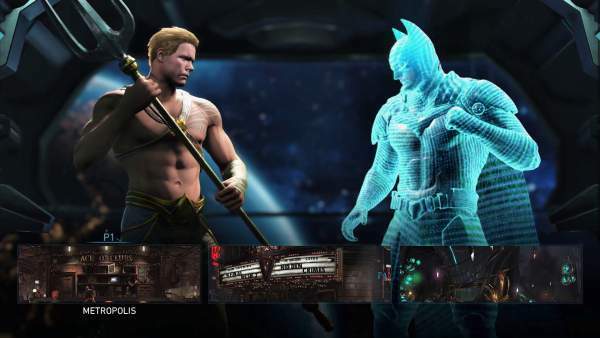 The returning characters to be featured in this game are Aquaman, Batman, Flash, Harley Quinn, Superman and Wonder Women. While the new characters added are- Atrocitus, Blue Bettle, Deadshot, Gorilla Grodd, and Supergirl. The co-franchise of the game “Mortal Kombat” said that the characters like Starfire, Jonah Hex, Red Hoot, and Beast Boy are getting high preference but their chances of getting are very less. The entry of Flash in this game is a significant achievement. The fan base of flash is very huge and will definitely come to play it. There are reports that Black Canary may be included. The game will continue the story of the first part of the series. It will begin from the defeat of High Councilor. A threat will occur in IJ2 which will cause the destruction and put the existence of Earth at risk. In the start, the characters will play with their basic powers. But in winning the battles, they will get another powerful weapons and abilities. It is expected that it will be releasing in the market in March 2017. After the launch of the game, it will be getting an update containing the new characters. As the people are crazy about the DC Comics characters, the gaming world is waiting for the same. We need to wait and look the package offered to us the developers of the game. ‘DC Collectibles has released the first statue of Injustice 2’s character Harley Quinn. It will be available in RED, WHITE and BLACK line, measuring 7.75’’ tall/1:10 scale, and will cost $80.00 USD when it goes on sale April 2017.